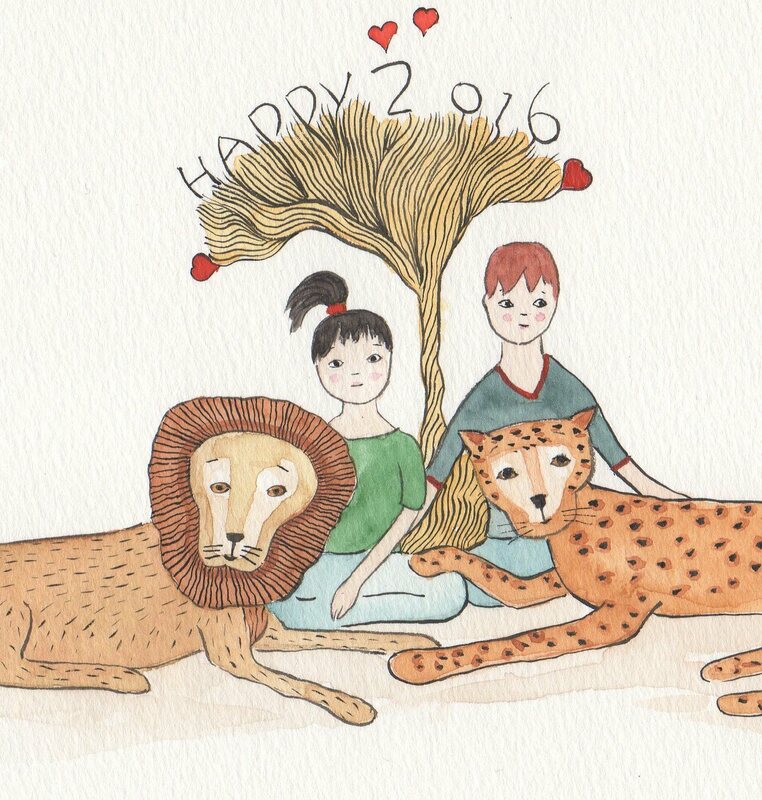 The first day of 2016 and I’m sitting at home, alone. It is lovely and peaceful. The local magpies are carolling in the paper bark tree and a single crow caaws in the oaks that line the street. I’m at my desk looking through the door of my writing room down the kitchen to the back garden. Christmas day was a disaster day. My sister and her family lost their home to the Wye River fires on the Great Ocean Road. As I write this the fires are still burning in the Otway Ranges and other towns are being evacuated. I love Melbourne summer but fear for the people and animals who are at risk to the bushfires. This is for my sister, brother in law and family. The golden cocker is her dog Billie, the black cocker is my dog Hero. I call it Pool of Tears. I have painted a lot this past year. Not having a major publication out in 2015 meant that I could spend more time at my painting table. This doesn’t mean that I’m not working on words, just that deadlines are not so pressing. 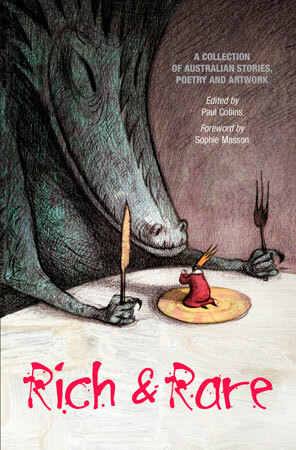 “The Two Faced Boy” is a short story in a 2015 anthology called Rich and Rare published by Ford Street. The book is a great buy for lovers of short story and for libraries. It has had some fantastic reviews and features many of Australia’s finest writers for young people. 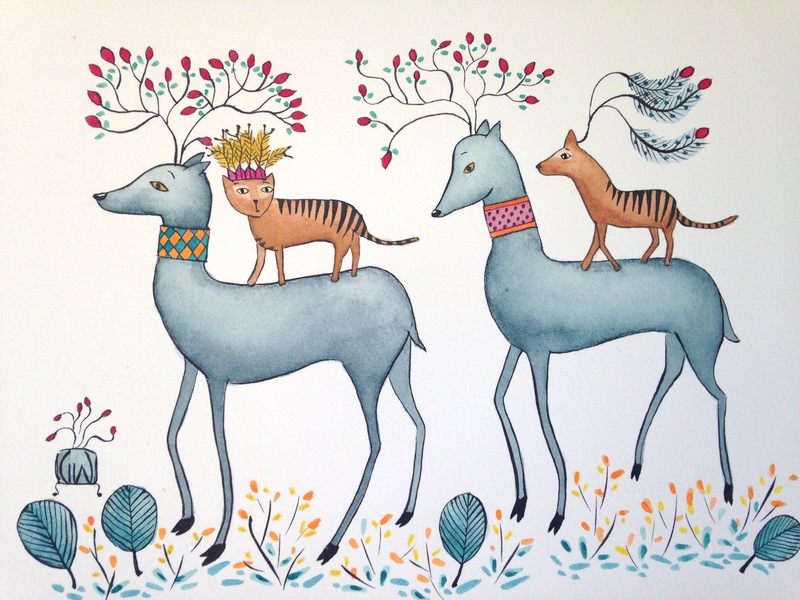 Two Thylacine riding on the backs of deer. They look pretty regal as if they belong to a royal party. I’m not sure if they do. Ideas come and I don’t try and explain why. The last Tasmanian tiger died in a Hobart zoo in the 1930’s. I have an impossible wish and that is to bring them back from extinction and have them roam the wilds of Tasmania once more. First up is a new Poppy hardback omnibus of all four stories in one volume, with a magnetic clasp. I can’t wait for this to come out. It will look gorgeous. If I take myself back to when I was eight years old, which is easy for me, I would have treasured something like this. I’ve almost finished writing the extra chapter which takes place 2 years after the final book ended. 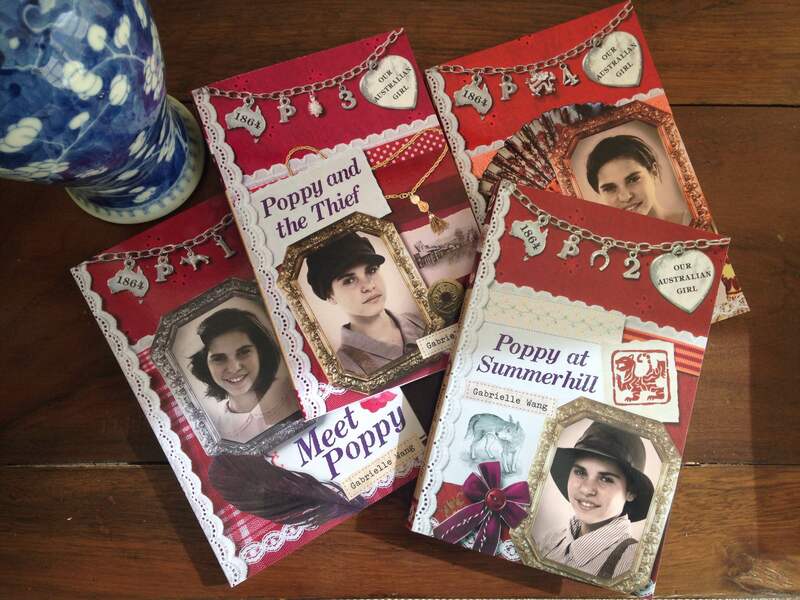 I’ve enjoyed revisiting my characters, thinking of where their lives would be and how important it is for them to be in Poppy’s life once more. Of course Noni from Poppy at Summerhill had to come back as well as her ‘bad’ brother Joe to add tension to the chapter. There will also be a short paragraph on what happens to Poppy when she grows up. I wonder who she will marry. You’ll have to wait until November to find out! Here’s a pic of all four books which will end up as one in the omnibus. The new Poppy hardback will be out in November 2016! 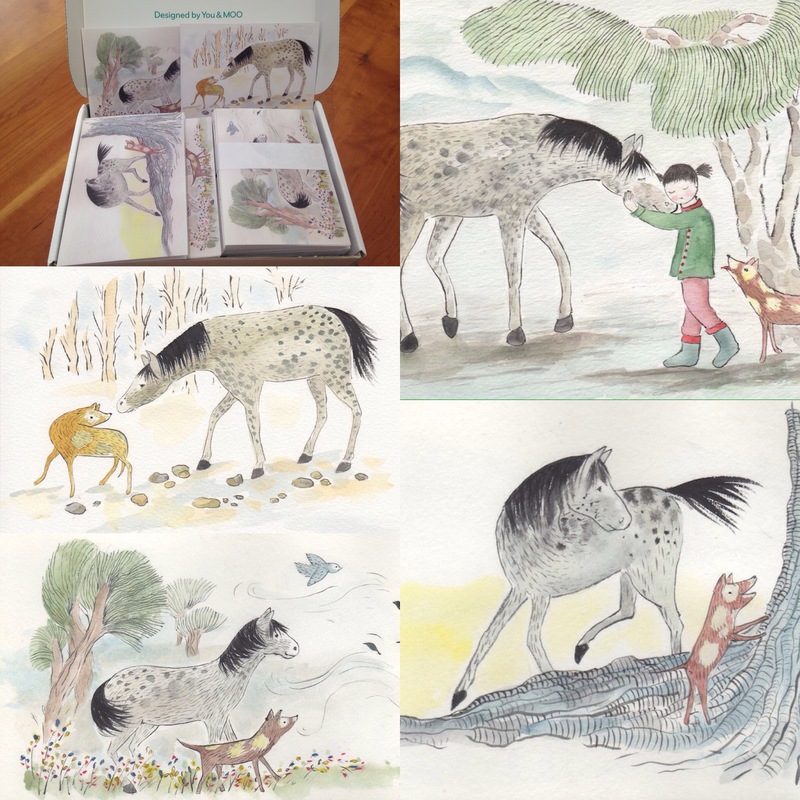 Another project that I have been working on is for Christmas Press Picture Books in which I have retold two ancient Chinese folk tales. Did you know that the first Cinderella story came from China? I found several versions of this story on the internet but they all tended to pander to the western version. And then I discovered the original in Chinese which is more than 1000 years old dating back to the late Tang dynasty. My husband is not Chinese but can read and speak perfectly so he translated it for me. What is interesting about this version is that the focus is not on the girl but on magic – a fish and its magical bones. I believe that when the story is published it might be the very first English translation. The other folk tale is The Weaver Girl and the Cowherd, a story that every Chinese knows. These two illustrated stories will be published by Christmas Press Picture Books in February 2017. This is my major work in progress. The story is finished, now it’s down to the refining. But first I’m changing the point of view from third person subjective to first person and the tense from past tense to present. What’s exciting is that I’m off to the woods of Massachusetts, (must learn how to spell this name without having to google it every time) to do some research. As with most of my novels I’ll be including black and white illustrations. This is the fun part. Not that writing isn’t but illustrating is by far the easier of the two. I’m also illustrating and designing the cover and have about 10 ideas so far. It will be hard when it comes down to choosing but at least I’ll have the team at Penguin Random who can help with that. The Hushing Wood will be out in February 2017. 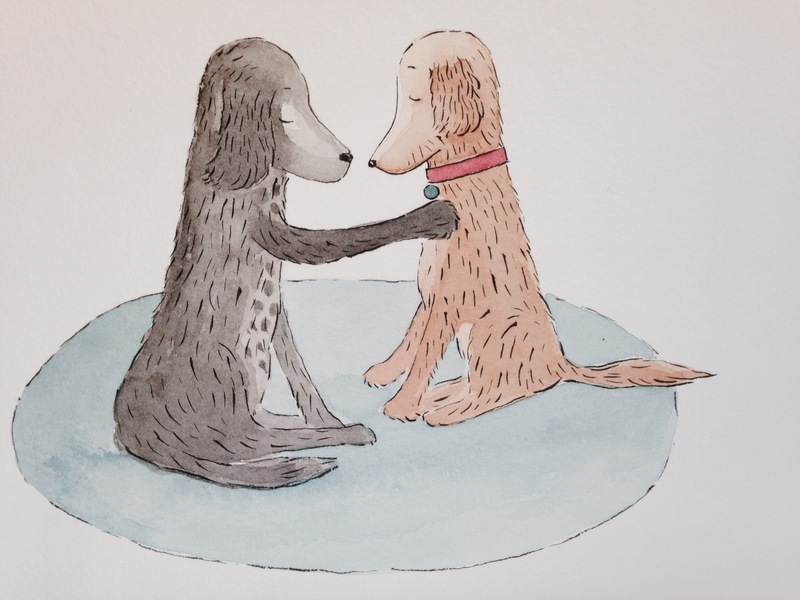 I have wanted to write and illustrate a picture book since I was in my twenties. Finally I think I have a style that I’m happy with so I’m off to Varuna very soon to work on a story. Varuna is a wonderful writers’ retreat in the Blue Mountains, the legacy of Eleanor Dark to the writers of Australia. And lastly. 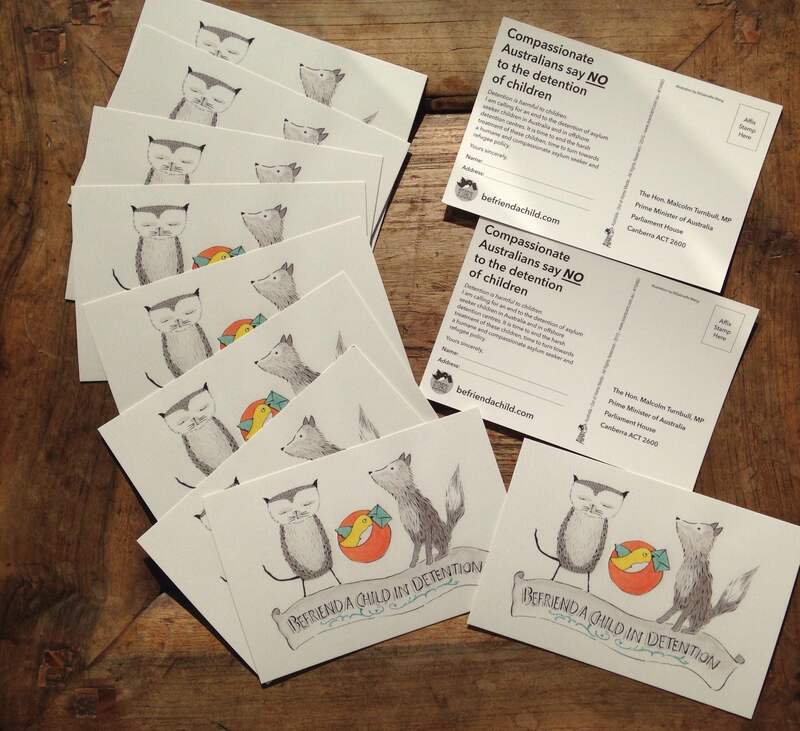 Thank you to all who supported Befriend a Child in Detention and bought my cards. Together we raised $975! And don’t forget to pick up an Avant card from public places and send it to our Prime Minister. Well, that’s a wrap for now. 2016 looks like it will be a bumper of a year for you Gabrielle and I for one can’t wait to see the end result of all that hard work. Wow Gabby! You are so busy creating that I feel a pauper by comparison. One day I will be published, perhaps this year. Rosa.